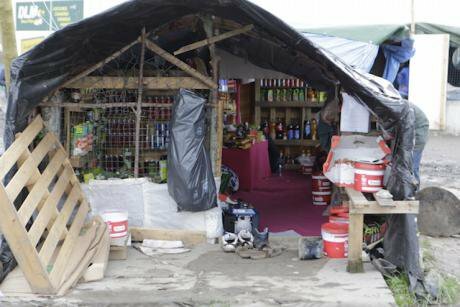 Small grocery shop in The Jungle refugee camp in Calais, 2015. Debets/Press Association. All rights reserved. Artificial Intelligence (AI) is undergoing a period of massive expansion. This is not because computers have achieved human-like consciousnesss but because of advances in machine learning, where computers learn from training data how to classify new data. At the cutting edge are the neural networks that have learned to recognise human faces or play Go. and to social media feeds to detect signs of incipient depression or suicidal tendencies. the organisation of on-the-ground aid to fellow human beings in crisis due to war, famine or other disaster. in particular the principles of neutrality and universality. suggests it can both grasp the enormity of the humanitarian challenge and provide a data-driven response. and introduce new ones of their own. and what else needs to be in place to produce machine learning for the people. why did it pick this person as a bad parole risk? what does that pattern of weights in the 3rd layer represent? we can't necessarily say. that behind the world of the sensible is the world of the form or the idea. expressed mathematically and apprehended by going against direct experience. What might this mean for the future field of humanitarian AI? Hannah Arendt said many years ago that cycles of social reproduction have the character of automatism. How can democratic technics be grounded in the humanitarian context? the next generation of humanitarian scandals will be driven by AI. Presented at the symposium on 'Reimagining Digital Humanitarianism', Goldsmiths, University of London, Feb 16th 2018. More details of the symposium can be found here.